A Gallery solely dedicated to fine Tibetan scriptural art is perhaps the first of its kind in the western world? 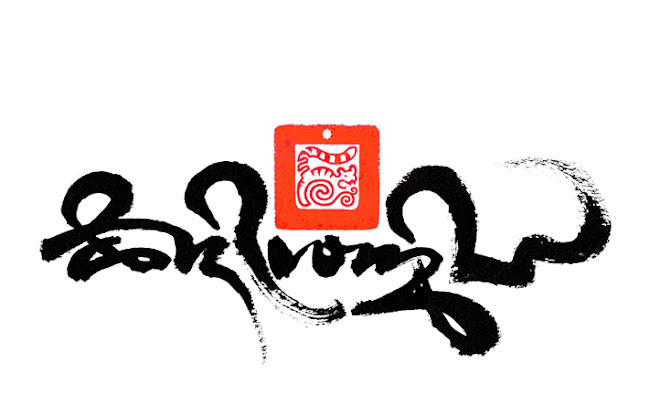 But is defiantly a first for internationally celebrated contemporary Tibetan calligraphy artist Tashi Mannox. 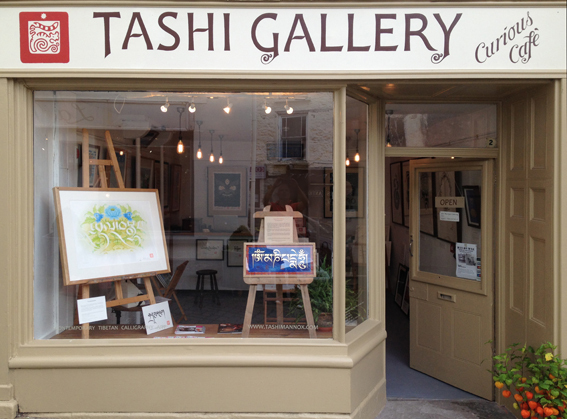 This September launched the “Tashi Gallery” pleasantly situated in the heart of the famous town of books Hay-on-Wye. This is a very popular destination for it's surrounding beauty in Brecon Beacon National Park and hosts the yearly internationally acclaimed Hay Book Festival. The picturesque Welsh border town nestles below the Black Mountains on the banks of the majestic River Wye, is a lively cosmopolitan town that boasts a wealth of arts and literature. Only such a town can comfortably accommodate a Gallery of Dharma art of Eastern origin. Tashi Gallery exclusively offers original art masterpieces as well as excellent quality limited edition prints of Tashi Mannox's complete works. Also for Eastern Calligraphy enthusiasts, there is an opportunity to select the finest quality Japanese seal inks, Tashi Mannox has collaborated with the oldest Japanese traditional seal ink makers to create four different color shades of vermilion pigments representing 'The Four Season'. This is also the first time such quality inks are made available in the West. Tashi Gallery # 2 The Pavement, Hay-on-Wye, on the Welsh border of Herefordshire, HR3 5BU, UK. Public transport: Trains to Hereford Station, near the station approach take the 39 bus toward Brecon, alight in Hay-on-Wye, click here for bus time table. The Tashi Gallery is found at the heart of Hay-on-Wye just up from the clock-tower. Who doesn't like richness of gold on deep lapis blue colour? a combination made in heaven, historically used for the most divine of Christian icons, Pharaoh's precious ornamentations and sacred Mantras on lapis lazuli tablets. This is a short photographic story of the creation of the sacred Mani mantra oṃ maṇipadme hūṃ according to the proportionate construction of the Uchen script style. Available on-line as hand gilded limited edition giclée prints. This art piece has also been put together with a song by Imee Ooi who sings the Mani mantra beautifully. Tashi is an Englishman who set out on his path in the arts and meditation at the tender age of 11. Shortly after he finished his formal art degree training, he became a Buddhist monk in the Tibetan Karma Kagyu order. For the next 17 years he studied under a Tibetan master of arts called Sherab Palden Beru, apprenticing in the elaborate art of temple decoration and Tibetan calligraphy. In his finishing years as a monk, Tashi studied under a master of the rare ancient Sanskrit forms, namely Lantsa and Wartu in Dharamsala. 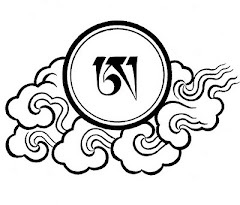 Since the beginning of the Millennium, Tashi has been actively creative in Tibetan calligraphy and iconography, established as an internationally known artist. 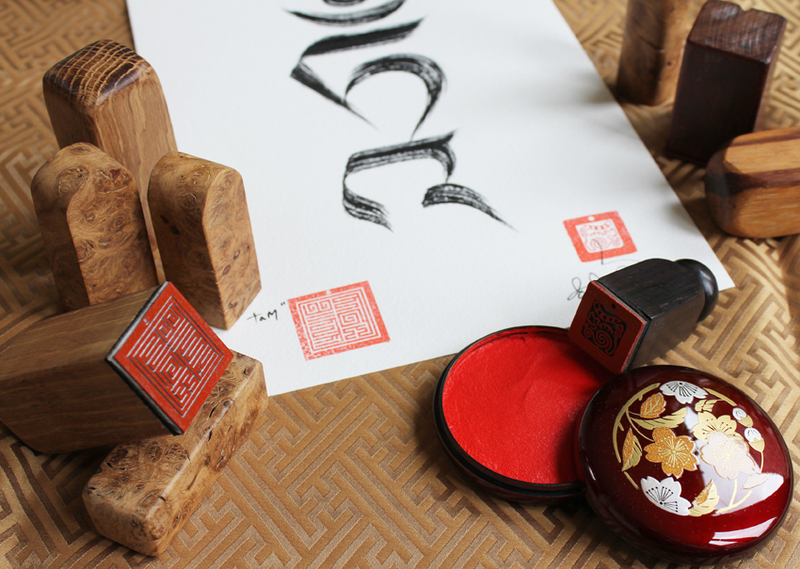 This blog is to share knowledge on Tibetan related scripts, upholding the integrity of their ancient heritage, through a concern in conservation and preservation and to communicate Dharma; is very much at the heart of Tashi's work as an artist. If your browser is not showing the Tibetan type fonts on this blog, please click on the above icon for web browser configuration of Tibetan script.